We got some new point-of-lay pullets (20 week old hens) to add to our collection of older, already laying girls. One of the little babies laid their first egg. 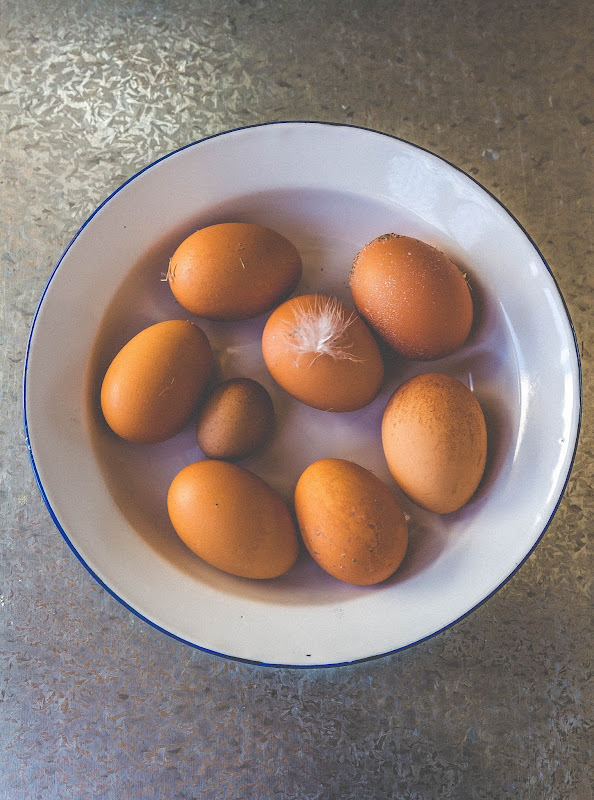 First eggs are always small and nearly always full of egg white with no yolk. It will take her a few goes to get it right. Cute though, huh? 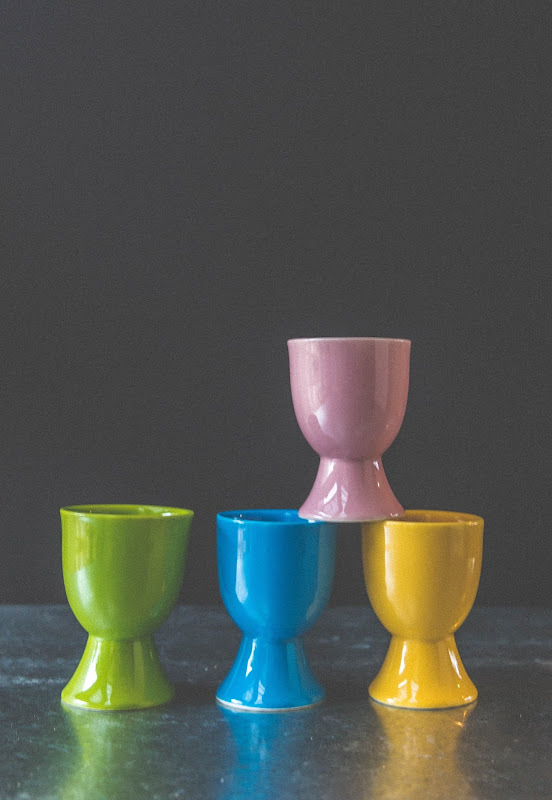 ... And where there's eggs, there's egg cups. I've had these egg cups for ages, but they have been getting quite a run of late. In a house of mostly males, there's no prizes for guessing which colour is mine. I get "stuck on" certain cookbooks. I'm going through my Karen Martini period at the moment. I spied this jug in a local vintage/retro shop and knew I just had to have it. It's a perfect addition to my tea tray, so a totally justified purchase, yes? This syrup has been drizzled on my porridge all week, along with sliced bananas and chopped toasted macadamias. Worth getting out of bed for on a winters morning. 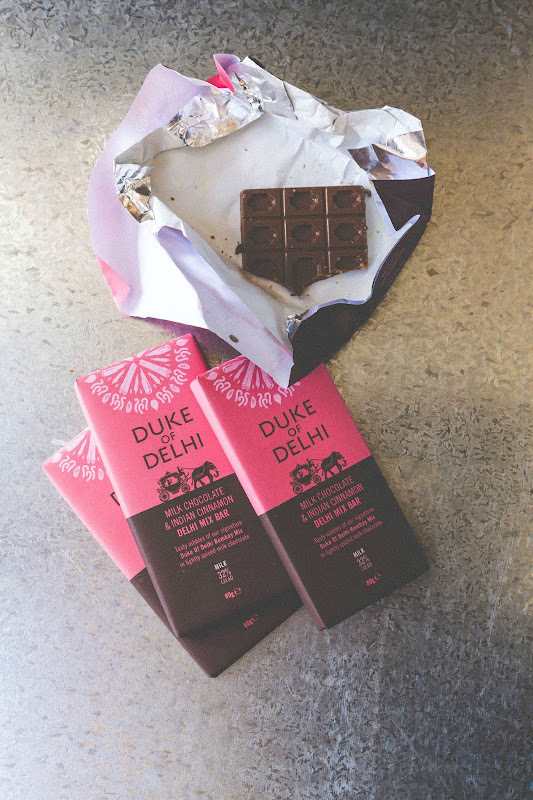 I'm not usually a milk chocolate girl, I prefer dark chocolate, but I couldn't resist the flavours (and packaging). Needless to say, I didn't have any trouble demolishing half a block with my afternoon chai latte. You just never know what treasures you're going to find in Aldi. I had no idea the first few eggs were mainly egg white - it's a very cute egg though. I'm a big Aldi fan too - you never know what you'll find in there. If you hadn't said, I'd have thought it was an expensive fancy pants boutique brand of chocolate. There's a lot of same-same at Aldi, but then pow... a treasure reveals itself. Thanks for taking the time to stop by while you're on your travels. What a great IMK post today! I had never heard of coconut syrup, but you have my curiosity! I can't wait until Aldi comes to Adelaide! Every now and then you get a little surprise in Aldi. You have to keep your eyes peeled. Thanks Kim. My girls have just come back on the lay after a little winter "holiday". I'll have eggs coming out of my ears soon. You're so lucky to have chickens in your garden!!!! In the city it's forbidden, I'm sooooo looking foward to have a house somewhere else and to have chickens :) And I sooooooo want to taste this chocolate!! Thanks Fiona. Growing our own food makes us happy. Makes us appreciate where our food comes from, the seasons, the work that does into the soil to produce organic food and to make the most of it when it comes to the kitchen. I love that little striped English jug- totally justified purchase. And the eggs and egg cups- beautiful photos. Oh I must get myself to Aldi pronto! That chocolate looks so good! 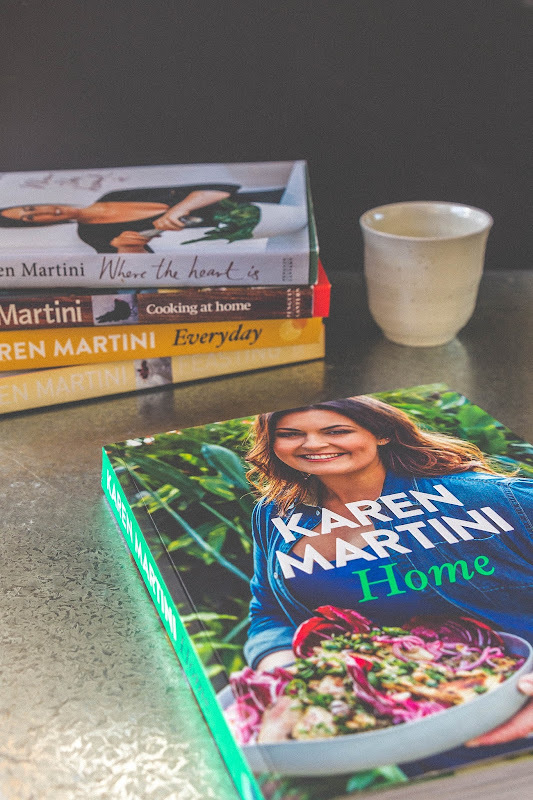 You can never have too many milk jugs, or Karen Martini cookbooks. And those eggs! Just adorable! Thanks Amy. 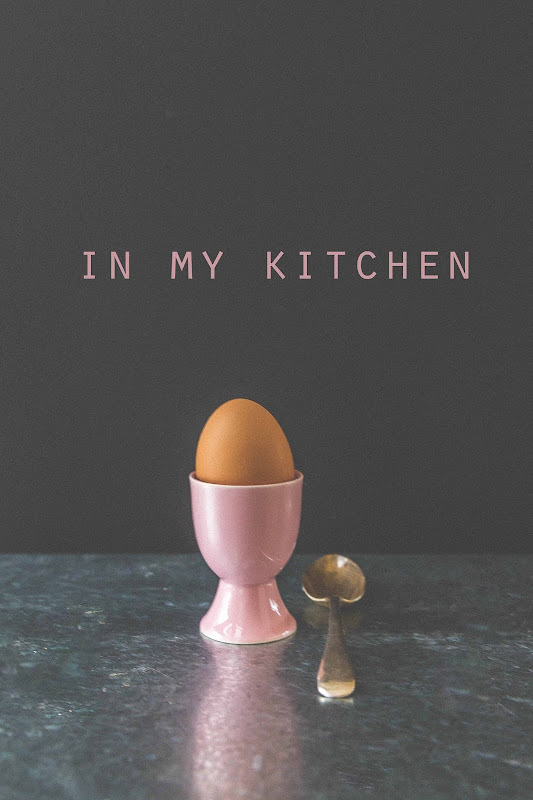 You and I are on the same page re: Aldi, chocolate, milk jugs, cookbooks and eggs... and probably a whole lot more. Thanks Sherry. Aldi is just a boring supermarket most of the time, but every now and then it has something you can't get anywhere else. I made Spiced Spinach, Yoghurt and Pine Nut Dip and Pita Bread from the Martini "Home" book the other day - to die for. 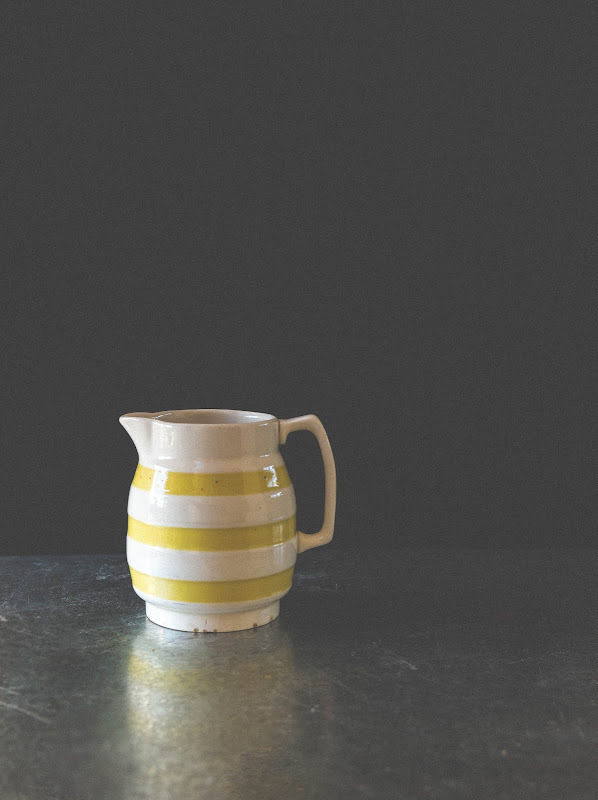 What a lovely yellow (same colour as my kitchen) striped jug, more commonly seen with blue stripes. Our Sunday breakfast is often oats with apple compote, macadamias or walnuts and honey but I can imagine it with sliced bananas and organic coconut syrup. A bowl of porridge with something sweet and something creamy on a breakfast table set with pretty milk jugs is a perfect way to start the day don't you think? Thank you for sharing this post, I have just learned some new things about eggs :-) Got to love Aldi. And Lidl too! Eggs are fascinating. We don't have Lidl yet, but I hear it's coming. What cute looking eggs! The striped jug is great too, I wouldn't need any excuse to buy that. 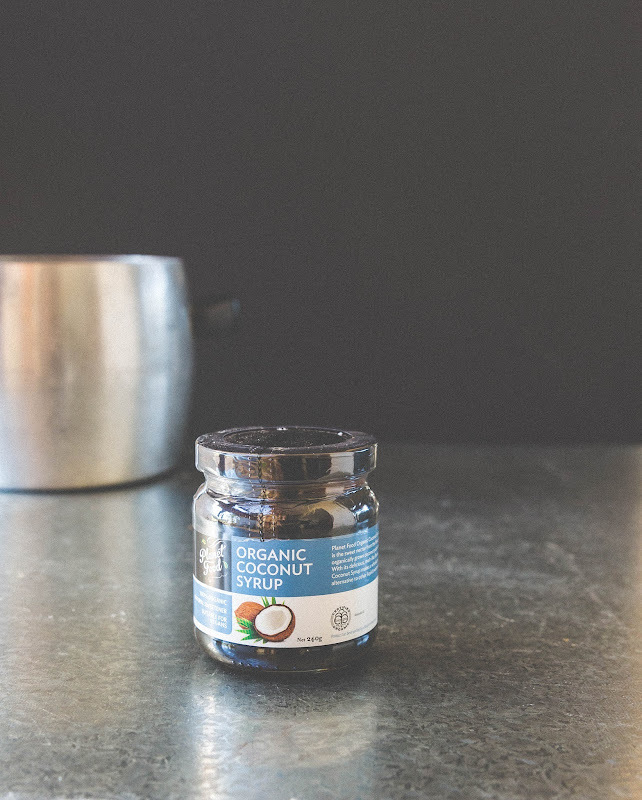 I haven't heard of coconut syrup, sounds like it's making a great winter breakfast. The coconut syrup (along with the bananas and macadamias) are my way of bringing a little tropical touch to a temperate winter. Never. We eat lots of eggs. I got the coconut syrup in the "health food" aisle in Coles. I'm always nosing around there to see what's new. Your photos are beautiful as ever. The new jug is delicious and the coconut syrup sounds great! Thank you Kari. The new jug has been well used already.